These photos speak for themselves. We had an amazing day. God totally blessed us and gave us favor with the government. 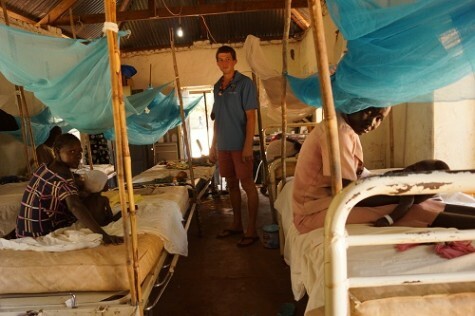 It started with you, giving generously so we could provide an adequate space for our inpatients and here it is! 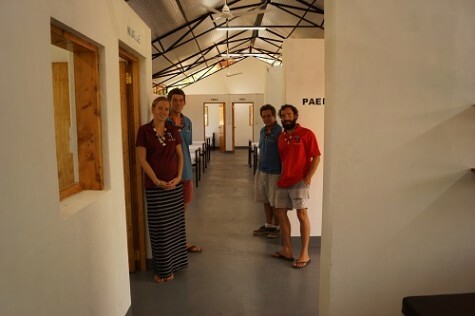 Our dear NZ volunteer and friend, Richard Welch, made the foundation ready and then Travis (project manager) came from New Zealand, with his dad and cousin, to build the ward and completed it in just 5 months! It truly was God’s children joining hands across the world to make this happen. 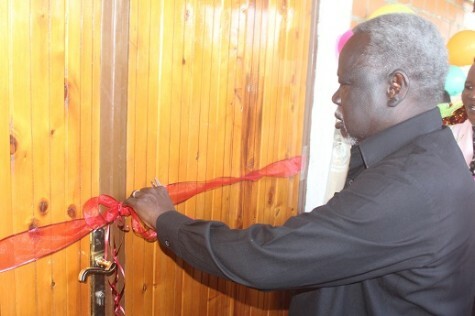 We were truly honored the National Minister of Health flew especially from Juba with several government ministers and a TV crew to officially open the new ward. They honored Suzy with a traditional cow hide dress worn in the cattle camps. 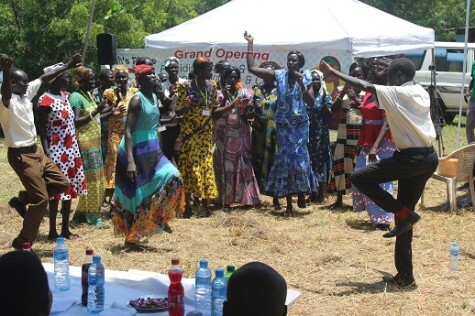 A huge crowd attended and following the speeches, we celebrated with lots of dancing and singing. 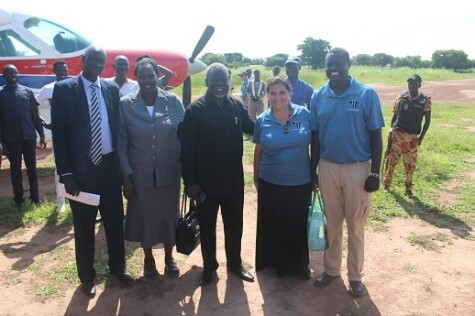 Sabet and Suzy at the airstrip thanking Hon. Dr. Riak and National MP’s for attending the ward opening. Our construction team standing under God’s promise to complete the ward in the time and budget provided. God is faithful, loving and generous with His people! May He be glorified with each patient that comes through the doors. This is such wonderful news and will be an incredible blessing to so many precious people in need. 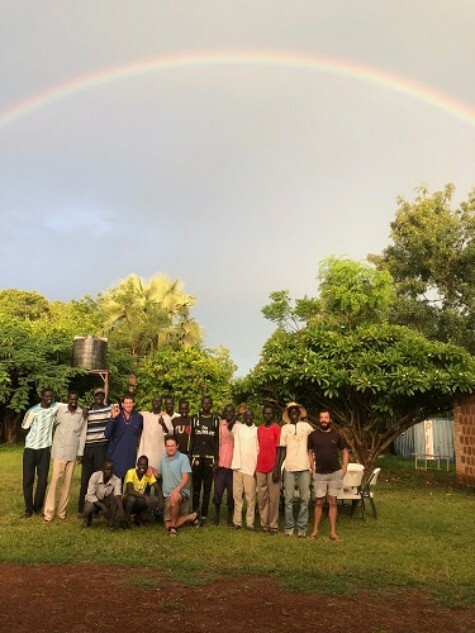 God bless you Suzy and Sabet… and many more… for your faithfulness to God’s call on your hearts and your lives to serve in South Sudan. 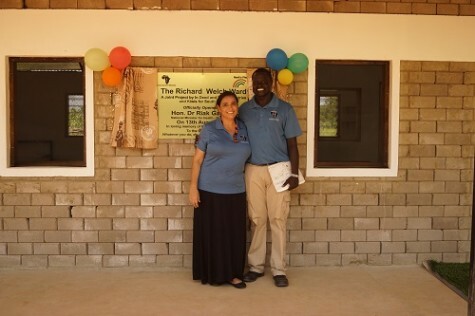 It’s such a confirmation of God’s faithfulness to see the culmination of all the prayers and support that have preceded the completion and opening of the ward. That rainbow gave me Holy Spirit bumps! God is faithful! Praise God for His abundant blessings in providing the building funds, the self-sacrificing team of builders, and for all of the volunteers who committed their time, sweat and love into this new medical ward that will serve the surrounding community in the name of Jesus Christ! 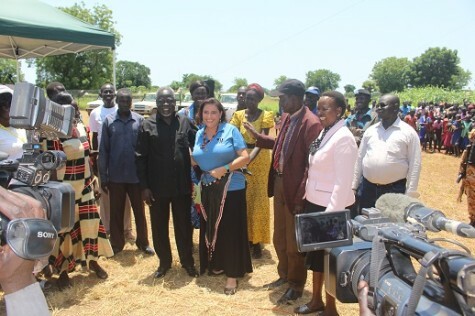 Thank you Suzy and Sabet for your love and commitment to the Dinka people all of these years. I know the Lord is saying “well done my good and faithful servants!” May all who cross the ward’s threshold not only hear God’s love story, but accept His invitation to become a member of His family by claiming Jesus as their Lord and Savior! I’m so touched God has blessed you in that you are able to see some of the fruit of your efforts and struggles! Wow! I’m amazed with God’s goodness!!! What a beautiful and blessed accomplishment! 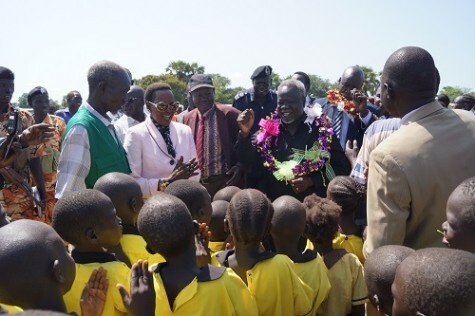 May the Lord continue to pour His glorious riches upon you, your family and all those wonderful people with you in Tonj.